Keep your smile happy and healthy! At TLC Dentistry, we always focus on ensuring ultimate oral hygiene. We understand that in order to have perfect teeth, there is some care and preventive measures you need to exercise yourself. Our Salinas family dentistry services instill good habits in maintaining your teeth. These skills go a long way and give you healthy teeth even when you are older. If you have been neglecting your teeth so far, the repercussions can still be controlled if you have a consultation session with one of our Salinas dentists and orthodontists. For preventive personal care, we recommend following proper brushing techniques to reach every nook and cranny in your mouth. 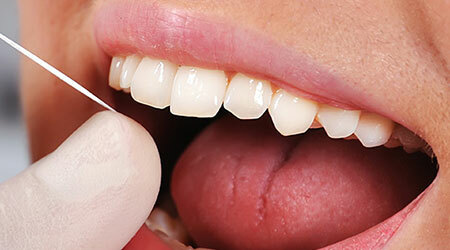 Flossing regularly is also important for ensuring healthy teeth. Both these recommendations would ensure that plaque is removed from your teeth on a daily basis. If you don’t follow preventive measures, you could end up getting serious periodontal diseases, halitosis and other issues that would take some time to treat. On the other hand, preventive care would not only prevent these issues but also maintain the cosmetic procedures you have invested in. You can also get professional mouth rinses and mouthwashes from us. Staff is courteous and friendly. My needs were addressed and I felt completely taken care of. Will be returning for my routine dental needs. Call us now for a special consultation and to learn more about preventive care, and great Salinas family dentistry.